Eating healthy when traveling can be difficult for everyone. There are often unknowns and last minute changes, and we end up making poor choices based on limited options or being in a rush. The best way to avoid those pitfalls is to plan ahead. Planning your travel food can keep you from eating junk food, save you money, and will make travel more convenient. We’ve put together some ideas to bring along, whether you’re in planes, trains, or automobiles. Water: Bring an empty water bottle on flights– after you pass security you’re free to fill it up at a drinking fountain or vendor in the terminal. Bring a full water bottle for car rides, trains, etc. Any kind of nut butter – peanut butter, almond butter, etc. You can pre pack it in a smaller container or it buy single serving containers. If you have time to eat in the airport, check the airport web site beforehand and see what restaurant options are there. Check the restaurant menu if it’s posted to plan which healthy items they serve. Look for salads, grilled sandwiches, fresh fruit and vegetables. 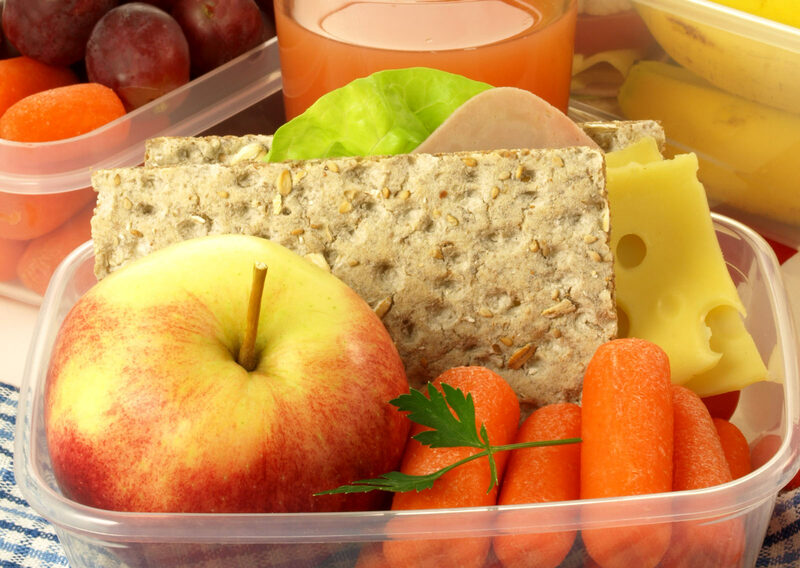 Keep healthy snacks in your carry-on in case your flights change and you don’t have time to eat. Check the coolers in the back of the store for yogurt, cottage cheese, hard-boiled eggs, raw carrots and hummus, and vegetable juice. Look for fruit cups, a package of unsalted/ low salt nuts or sunflower seeds, string cheese, jerky, air-popped popcorn, soy crisps, individual box of whole-grain cereal, any fresh fruit or veggies. What are your favorite tricks for healthy eating when you travel? Share in the comments below.